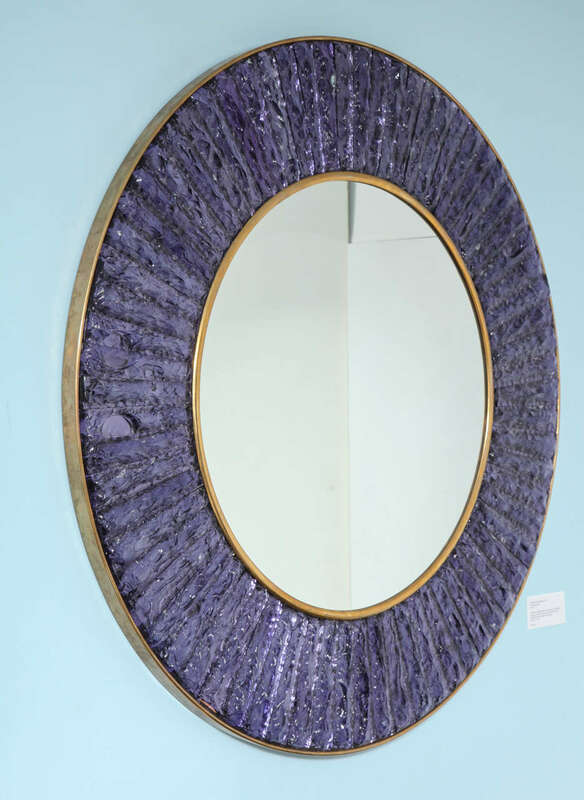 Contemporary wall mirror of hand-cut and chipped chunks of amethyst glass. 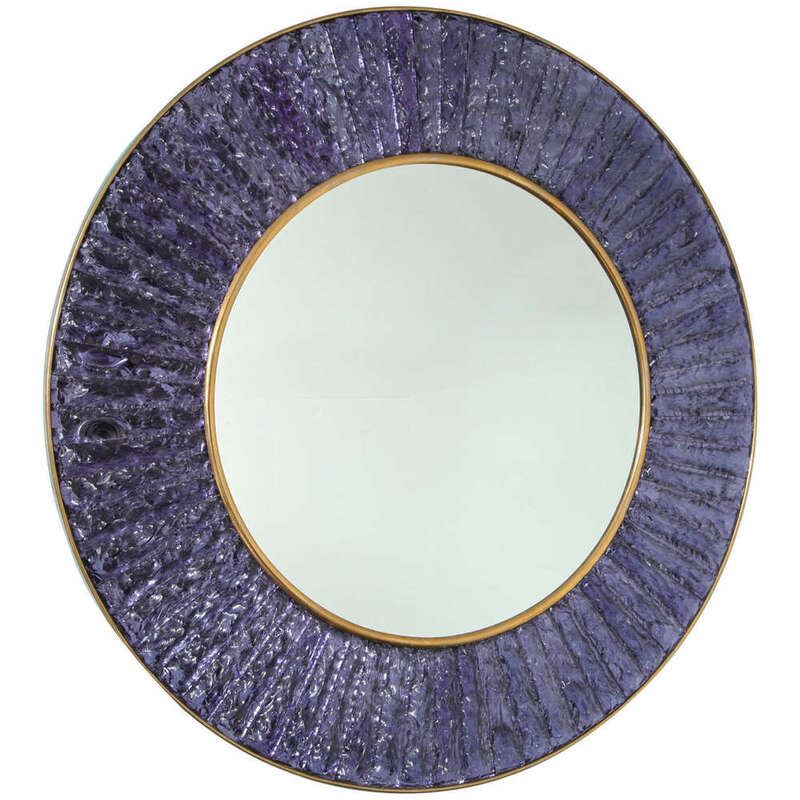 Arranged in a circle around a central mirror with brass mounts. 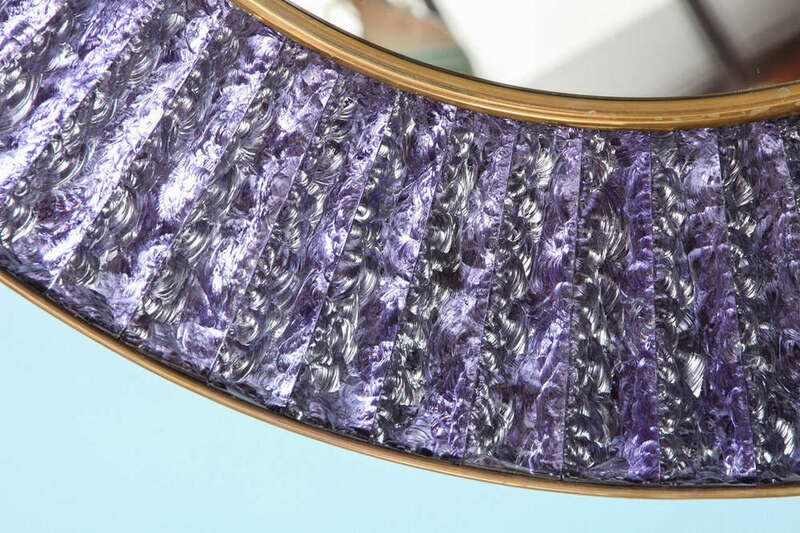 Beautiful studio-made piece created exclusively for Donzella. Signed on side edge.